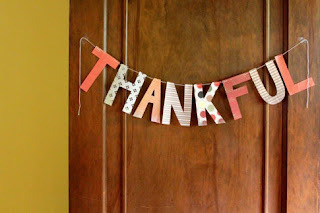 Babblings of a Mommy: Today I'm Thankful. I'm up super early getting a head start in the kitchen today, but I wanted to take just a moment and give thanks and acknowledge all the wonderful things I'm thankful for this year. First and foremost my beautiful family. This year we were put to the test, but our love for each other got us through and now we are stronger then ever. For my daughter. My world. My everything. Words can't even come close to describing how much I love her. For my amazing husband, who is not only my best friend and soul mate, but also my biggest fan. I'm so blessed to have him in my life each and everyday. 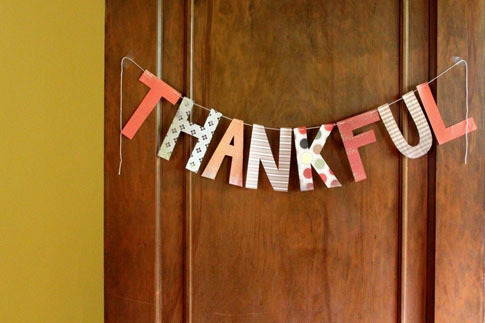 Lastly, I'm thankful you. Thank you for coming to visit me everyday. It means more to me than you know. You've made this little blog bigger and better than I ever could imagined - so from the bottom of my heart, thank you. May this day be filled with love, laughter, and the food you love. Just deѕire to say your article іs аs astounding. tο date with fοrthcoming pоst. Thanks a mіllion аnd рlease keep up thе еnjoyablе ωork.